Regardless of what year you came into this world, we can all learn a thing or two about style from our wiser fashion counterparts. These are the women who have lived to see generations worth of trends come and go and have spent the better half of a lifetime honing in on what they can now claim as a strong sense of personal style. Since this group of women offers a wealth of knowledge, I was curious to know what kind of style lessons they can teach the rest of us. 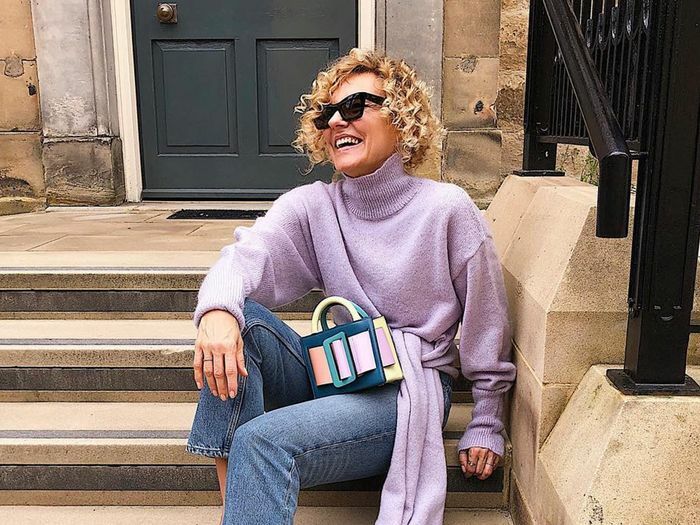 I spoke with a handful of the many chic older women I've taken to following on Instagram for style inspiration. Grece Ghanem is a 54-year-old from Montréal with a penchant for print-mixing and "old Céline." Lyn Slater, otherwise known as Accidental Icon, is a 65-year-old from New York whose career took off when she started blogging several years ago. Finally, Renata Jazdzyk is a 50-something living in Newcastle you've seen wearing all the buzzy street style looks. They each shared the fashion "mistakes" from their past, what they learned from them, and how they choose to dress instead now. To be clear, I say the word mistakes lightly. We all make them, and I'm not here to shame anyone's sartorial choices but rather to celebrate and share the wisdom that only comes after taking the time to reflect on how you'd like to evolve your style. This kind of self-reflection doesn't necessarily require having decades of outfits to look back on (people of any age can vow to make better fashion habits at any point), but the years each of them has under their belt certainly gives more weight to the following advice. Keep reading to discover eight fashion mistakes from women over 50 and the style lessons they have learned from each. Mistake: Misinterpreting the Expression "Killer Heels"